Red Travel Wallet for Only $3.39 Shipped on Amazon.com | A Savings WOW! 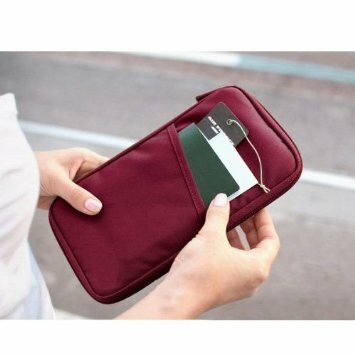 Check out this great deal on the SODIAL Red Travel Wallet with Closure Zip Document Organiser Passport Ticket Holder with lots of pockets to store your passport, airplane tickets, and even cash! It’s only $3.39 and includes free shipping. We ordered a couple because based on the reviews, it would also be good for everyday use, especially when you don’t want to take your full purse with you. It does take approximately 3 weeks to be delivered, so be sure to order it in enough time to receive it if you plan to use it for a trip. Remember that prices on Amazon.com can change at any time, so if this is something you like for this price, order it now. Sign up for a free UPS My Choice account and get an email notification when your package will be delivered.